- Colorful LED Light,with colorful breathing light, it will bring you both visual and aural enjoyment. - USB supply power dirctly, easy connection. - Large diameter full frequency vibration loudspeaker, deep bass, rich mid range and clear treble. - Rear bass trumpet, bass thick, to bring you high-quality bass. 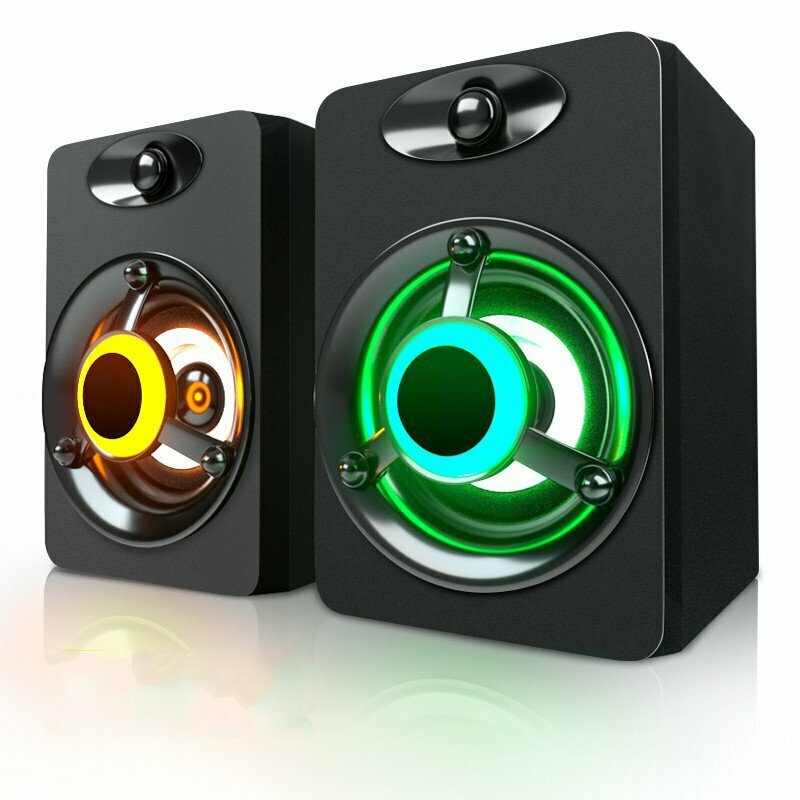 - High magnetic speaker, give you a different listening experience. - Can connect PC, laptop, mobile phone, MP3, MP4, DVD.